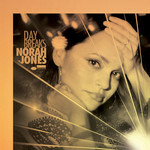 This is Norah Jones' stunning sixth solo album which is a kindred spirit to the singer's breakout debut Come Away With Me and finds the 9-time Grammy winner returning to the piano and her roots. The album features jazz luminaries including her Blue Note label mates saxophonist Wayne Shorter, organist Dr. Lonnie Smith, and drummer Brian Blade on a 12-song set that presents 9 new originals alongside covers of songs by Horace Silver, Duke Ellington and Neil Young. Deluxe edition includes four bonus tracks.